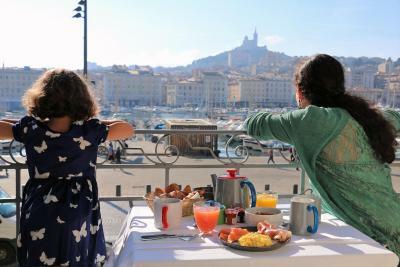 Lock in a great price for La Residence Du Vieux Port – rated 8.9 by recent guests! Great location and great view of the old port. Staffs were friendly and very helpful, they spoke well English. The location and view from the toom was excellent. The yachts were like inside the room. 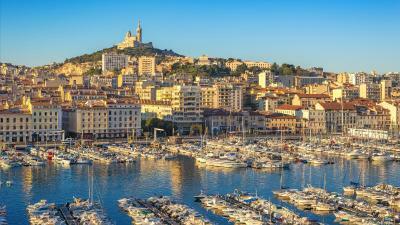 Fabulous location on the Vieux Port, amazing view of Notre Dame de la Garde and the port from the balcony. Staff very courteous and responsive. Robes and slippers in the room were great. Got a pot of coffee and milk from the breakfast room and took it up to our room to enjoy on the balcony. Good wi-fi. Comfortable bed, good pillows. They even had washcloths, which is rare in France. Nice bathroom overall, good shower. Great place overall. The double room was perfect for my family. After 3 weeks of traveling , it made our trip with its amazing location and layout. The view of the harbor was beautiful! Great sunset and people watching from your own room. Would definately stay there again. Perfect place to stay, walking distance to Mucem, Fanier and the harbor! Great location directly on the port near many shops and restaurants .helpful and friendly staff . Would definitely stay in it again next time I come to Marseille. La Résidence Du Vieux Port is just 650 feet from La Canebière and the Vieux Port Metro Station, which can take guests to Saint-Charles Train Station. Public parking is available on site at an additional fee. When would you like to stay at La Residence Du Vieux Port? This apartment has one bedroom and a cabin sleeping area. It also has sea views. Please note that this apartment does not have any kitchen facilities. This room features a balcony offering views of the Old Port. 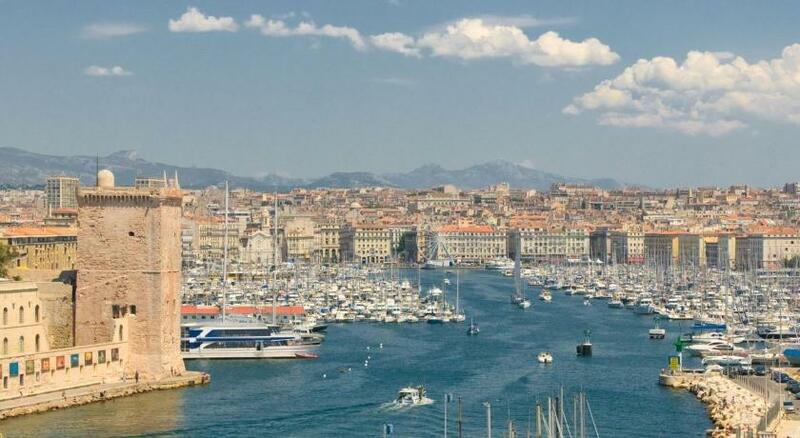 This suite offers panoramic views of the Old Port and the Basilique Noter Dame de la Garde. This rooftop suite enjoys unique views of the Old Port. It features a loggia. Located on the first and second floors, this room has panoramic views of the Old Port and the Basilique Noter Dame de la Garde. Please note that 3 rooms are adapted for wheelchair access. 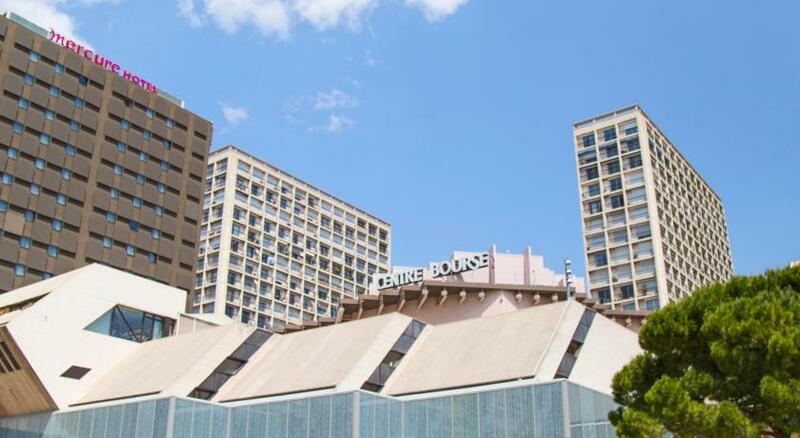 Ideally located, our 4* Hotel offers you the best view of Marseille faces to the famous Marina and the basilica Notre Dame de la Garde. Recently renovated, our 51 rooms and suites take you back into the 50’s, with its flashy colours inspired by Le Corbusier, Miro and Mondrian. 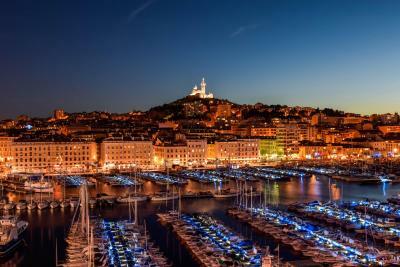 Every rooms have a large bay windows and balcony with the “wow” view of the Marina and Notre-Dame de la Garde. House Rules La Residence Du Vieux Port takes special requests – add in the next step! La Residence Du Vieux Port accepts these cards and reserves the right to temporarily hold an amount prior to arrival. Please inform La Residence Du Vieux Port of your expected arrival time in advance. You can use the Special Requests box when booking, or contact the property directly using the contact details in your confirmation. Really it was amazing, stuff they are perfect very helpful and always smile. 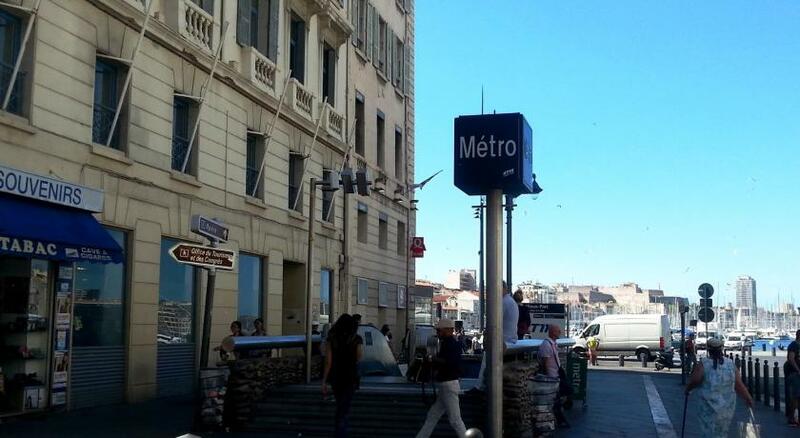 Location of hotel is awesome, i enjoyed my stay in marseille. The location, the view and the staff were superb. 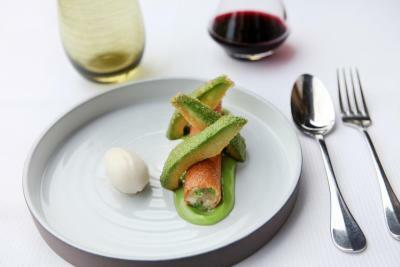 The resteruant is a little expensive but the food is unbelievable and the service is really good. This is one of the best places I have stayed and I would recommend it to anyone and hope to go there again. Unfortunately I have to report I was racially profiled by one member of staff at the reception. I am a black guy and on 23rd March @7.30pm I returned to the hotel with 2 bags of Monoprix shopping having spent the day outside. When I entered I said "Bonsoir" to the staff, two gentleman - they responded Bonjour - I then replied back to them "bonjour" - and walked to the lift 2 meters away and my room. The older of the two staff members, then ran forward from behind the desk - "EXCUSE ME SIR, What room are you in?". I then sighed and turned to the guy, and he managed to usher me back to the front desk, and he went to his computer after I gave my room number, he then asked and what is your name - I sighed, and gave him my room card, and said my name....He was busy checking the system for some time and then ok, thanks. I walked back to the lift - he then ran forward to act all was fine, "I havent seen you before so I ask" - I said "sure, whatever". I have been to many 4 and 5 star hotels all over france and around euorpe, booking.com shows I have had 100 hotel rooms for example. .. I know what the guy did is not normal behaviour...and there was panic in his eyes. Its sad that this guy gambled the reputation of the hotel on his own prejudices and thoughts that someone who looks like me couldnt possibly be a guest. I could have bought every hotel room in their building if i want to... he should learn how to ask someone in a better way if they are a guest, rather than that panicked drivel he gave me. 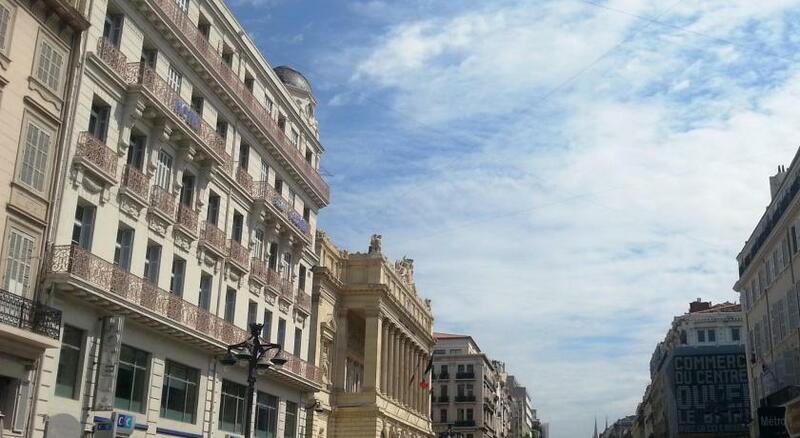 I will be back in Marseille soon but will not be stopping by that hotel again. I will not pay £300 to get racially profiled - it happens for free normally actually. The bathroom is also not that modern and my room had a bad smell in the bathroom that lingered ,like damp or a blocked drain. I had a good time in Marseille and the hotel was good but not as spectacular as one would imagine for the price, its basic 3/4 star hotel. The room was very clean and well kept, there was plenty of towels soaps etc, the TV was good, wifi was good, power points good, everything was good, but nothing spectacular - well apart from the view which was very nice balcony view. We would have like to stay longer. Where to begin! The room was lovely, with a balcony and a view over Le Vieux Port. 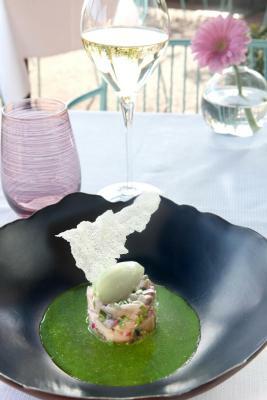 everything was provided, especially things that are often missing in the south of France. There were washcloths and coffee and tea making equipment. TThe decor was beautiful . he beds were very comfortable and the bathroom beautiful. Provided toiletries were excellent. We arrived during the Marseille marathon and has difficulty getting to the hotel and it's parking but a member of staff kindly jumped in the car and guided us. Breakfast is exquisite, the honesty bar in the foyer is inspired. So many restaurants nearby. Nothing! It was a great stay. The view from our balcony!! We really liked the hotel. And we were surprised that ir cost about only 100 euro per night per person. Location, facilities were excellent but the best was their staff members! Very friendly and helpful, they gave outstanding help for us about what was forgotten and found in the safe box. The lady at the reception called me, send me a photo of the item and when we recognized it, she immediately arranged delivery to Paris! Without their kindness, we would have been in a big trouble after we went back to our home country! Thank you very much!!! On approach to room, awful first impression...somewhere between the Hangover and the Wiggles. Carpet well past use by date as it is threadbare in patches and not finished to skirting (which desperately needs a repaint) Block colour design not to our liking (accept this is personal thing) All furniture very worn, edges rubbed. Shower screen missing seal on bottom and therefore leaks on to floor, toilet leaked from back on to floor. Cracked dividing screen on balcony. We noted the plumbing issue with reception on checkout. Breakfast was great in a nicely presented room. Room well equipped with extras which would be expected in 4 star ( bathroom amenities, robes, excellent mini bar, tea making music dock etc) Comfortable bed (although a double is not 2 singles pushed together) good pillows,dark curtains. Lovely view of marina. Room very clean, but very tired. Excellent hotel, lovely and comfy and in a superb location. It is also the 'quiet side' of the old port in terms of traffic which was a bonus. it is recommended to stay at. Room and bathroom was very clean. However there is old carpet at all of the floor, that was very old and dirty. It has to be cleaned professional or changed. There might be more type of cheese in breakfast. Minibar prices are high, it could be cheaper. Breakfast was super. Air conditioner was silent. Hotel has nice old port view and our room had a balcony. I wisited in winter time so i could not use, but i am sure in summer time it will be very nice. Bed was comfortable. Wifi speed was enough. Personnal was very helpful.